Fall is the perfect time of year to get outside with the family and pick out your own pumpkins. 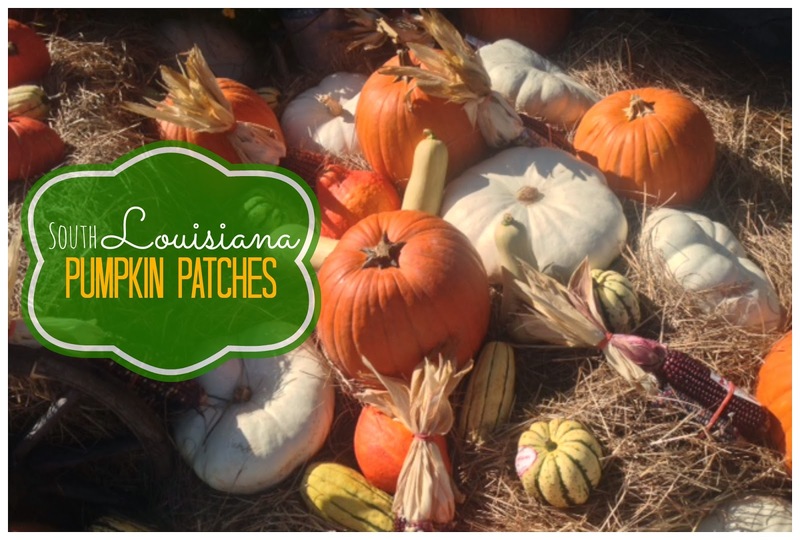 Here's a list of pumpkins patches that you'll find in South Louisiana. Make sure to call ahead for times and closures. Children receive a pumpkin with admission. Other activities include a corn maize, petting zoo, pony rides, hay rides, New this fall "Tiny Pioneer Town" and more! Monday - Friday 2 p.m. until 6 p.m.
Saturday 10 a.m. until 6 p.m.
Sunday 12 p.m. until 6 p.m. They also host schools and daycares Monday thru Friday mornings starting around 9:30 and lasting a couple of hours. On October 19th, they will have a car show from 10-2. On October 26th, they will have their annual craft show from 8-4. They have also booked the "Spirit of Louisiana" firetruck to come out from 10-2 on the 26th! Bring the kids for the firetruck demonstration, and for all the fun & games in the gym! 15160 S. Harrells Ferry Rd. Pastor Greg Moyer email: gmoyer@tlcbr.org field trips and open to the public. Everyday from 9:00 AM until dark! Bring the whole family and have fun! Bring the camera to take photos! Choose from thousands of fresh pumpkins! to make a beautiful fall display! Pumpkins of all shapes and sizes for sale! Straw, hay, Indian corn & gourds too! Decorated picture area for your special "pumpkins"! Field trips available for Pre-K to second grade groups by appointment. Includes fun & educational storytelling, hayride & more. Boo Carre Halloween and Harvest Festival includes a petting zoo, miniature golf, photo booth, take-home Halloween crafts, a pie eating and costume contest, pumpkin painting and live music. Children will also receive a Boo Carre trick or treat bag while supplies last. The price for schools is $7 per child and if accompanied by a parent who wants to ride the hayride with the child that is $2. For families on weekends and later in the afternoon the cost for the hayride for an adult is $2 and the child gets a hayride and pie size pumpkin for $4. Larger pumpkins are available and each should be marked with the price. You can contact Erica at 329-2308 or Lynne at 324-8092 to schedule a field trip to the Patch this year.